Southwestern College confers a master of business administration degree. Additional information about the degree may be found in the SC Catalog. A faculty member of the Business Division will serve as advisor for MBA students. Courses for the MBA degree meet on the main campus during the day. The MBA student will be enrolled in three courses each eight weeks, making it possible to complete the degree in one year of full-time study. Students may also take a slower pace if they desire. Students who officially withdraw from a course may be eligible for some cancellation of charges. To withdraw, give notice in writing to the appropriate graduate program office. Complete the specific MBA program requirements. Complete a minimum of 36 credit hours. Have an overall grade point average of 3.0 (B average) with no grade below a C (2.00). Have Southwestern College graduate course credit of at least 30 hours. Be elected to the degree by the faculty and by the Board of Trustees. 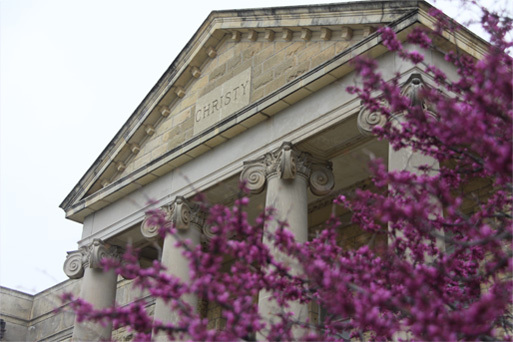 A complete listing of academic policies can be found in the Course Catalog. From the date of acceptance, learners have five consecutive years to complete the degree. If an extension is necessary, an application in writing must be made to the graduate program director stating information pertinent to the request. Learners may be able to transfer hours earned in other regionally accredited graduate programs if the grade point average of those total hours is 3.0 or higher. A maximum of six semester hours (with grades of A or B) may be applied to the Southwestern graduate degree. The decision to accept transfer credit will be made by the appropriate academic administrator. Regardless of grade points earned in graduate study at other institutions, have at least a B average for all work taken in the Master of Business Administration degree at Southwestern College. Accept the judgment of appropriate academic administrator in substituting transfer credits for courses in the Southwestern College catalog. More information about the Master of Business Administration may be found in the Southwestern College Catalog.